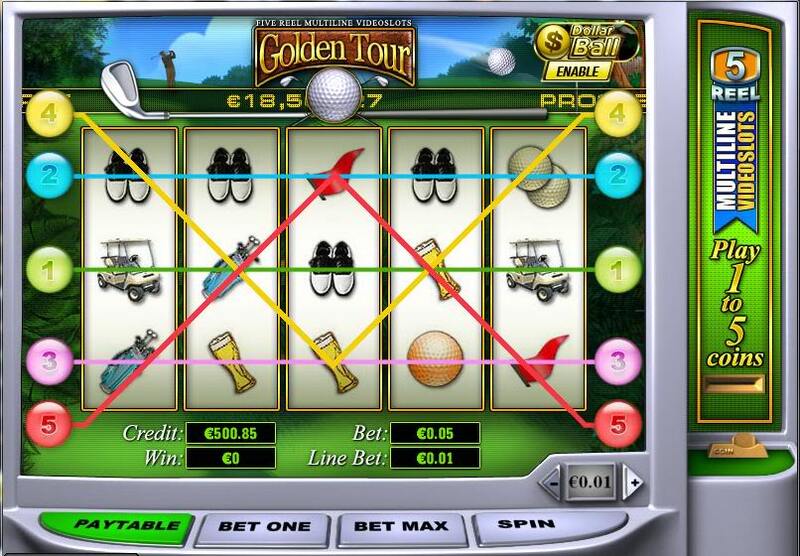 Golden Tour Slots is an amazing bonus, video, also known as feature, slots game, created and released by the creators of the best slots games on the internet – PlayTech. The reel machine itself has 5 reels and 5 paylines which, together with the 32 winning combinations, gives you a great deal of winning power. Moreover the jackpots are as follows – the big one, of the generous amount of 2000 coins, and the second one – of 1000 coins. The coin sizes are varying from $0.01 to $5.00, and the max coin amount you can actually bet is 5 coins. That makes the highest bid $25.00. The theme of the game is golf and the symbols are a gopher, a duck, a catfish, a club, a ball, a golf bag and golf shoes. The wild symbol is the golf ball and there are three scatter symbols – the gopher, the duck and the catfish. 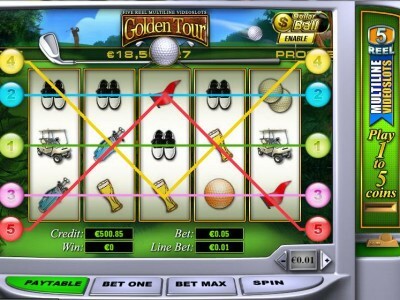 Amazing additions to the game are the autoplay mode and the two bonus games, which are found on the second screen – dollar ball and choose 3 clubs. Overall it is a nice and fun game to play, with good chances of winning coins.